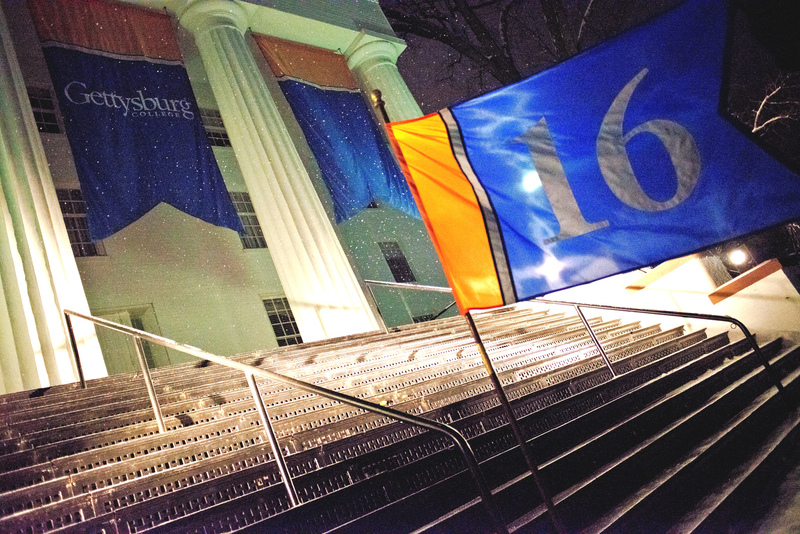 Class of 2016 takes part in inaugural Twilight Walk | The Gettysburgian. 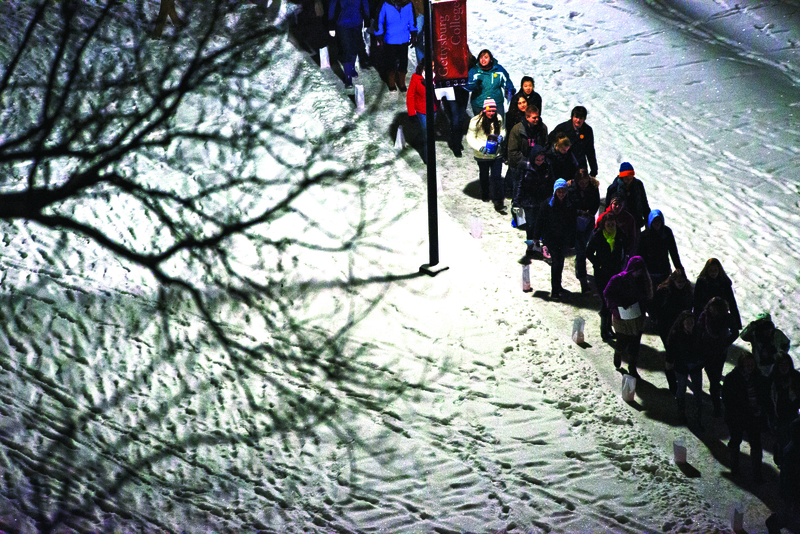 First-year students gathered together Jan. 25 to participate in a new Gettysburg tradition; the Twilight Walk. Stemming from a line in the Alma Mater, “We come a band of good fellows, to sing in the twilight hours,” the Twilight Walk was created to celebrate the new status of Alumni in Residence held by all second semester first-years and to celebrate the completion of their first semester at Gettysburg. Although it was cold and snowing, students still participated in the inaugural tradition. First-years filled the CUB Ballroom to hear speeches from Dean Ramsey, Associate Provost Rob Bohrer, Alumni Board Member Lindsey Musser Hough and their class officers. Students also learned the Alma Mater from the student-run a cappella group Four Scores and viewed the first-year class scrapbook. Following speeches and singing practice, the first-years filed out of the CUB Ballroom and made their way down the glow stick lined path to Penn Hall where Gettysburg College President Janet Morgan Riggs was waiting. “It was pretty in the cold,” First-year Nina Wickham said of the weather during the event. Surrounding Penn Hall, the first-years serenaded Riggs with the Alma Mater and presented her with their class scrapbook. Once Riggs had given closing statements, Class President Wu excused the Class of 2016 to go get their class t-shirts, which were waiting for them at the fountain. Braving the snow and the cold, the first-years who participated in the Twilight Walk achieved what they set out to do: they came together as a community to celebrate their new status at Gettysburg and the start of a new semester.